Adjustable rate mortgages are loans with variable interest rates that change according to the market rates, as opposed to fixed rate mortgages, which guarantee a set rate for the entire period of the loan. ARMs may seem like a great idea some years, but in other years, you may wonder what you were thinking when you agreed to the loan. Many financial experts advise home buyers to seek fixed rate mortgages. 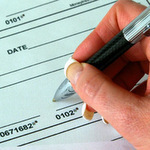 The set interest amount makes it easier to calculate monthly payments with no surprises. An adjustable rate mortgage can leave you with unpleasant surprises if the interest rates suddenly soar. There are some pluses as well as minuses to adjustable rate mortgages. As with any financial decision, learn all you can about the topic and weigh the pros and cons carefully before choosing a loan type. 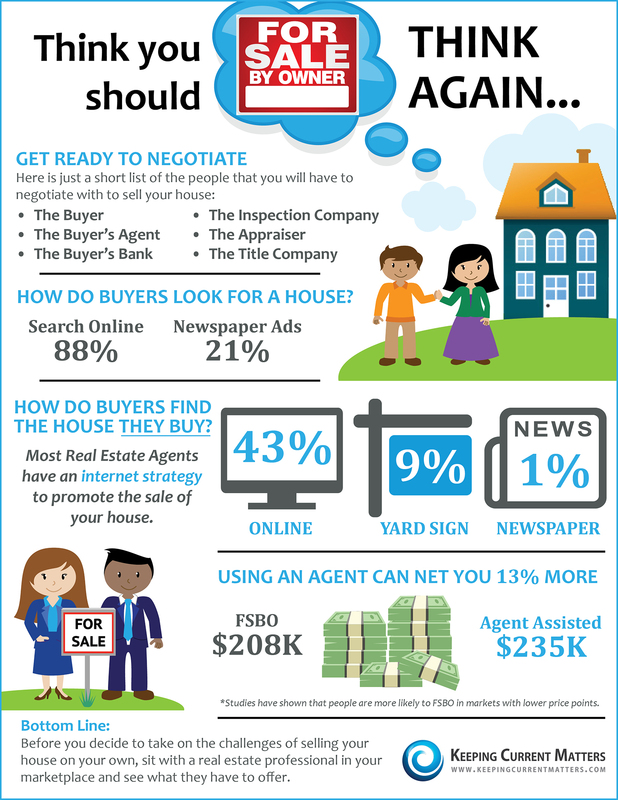 ARMs may be good for buyers who plan to sell in a few years. If you know your job requires you to move every five years, an ARM may be worth the risk of interest rates rising, depending on the current rate. Paying off your loan in a short time period may make an ARM better for some homeowners. For those who know they can repay the entire mortgage amount quickly but just need a short-term loan, ARMs may actually save them money. Some ARMs offer a combination of adjustable and fixed rates. These may offer the best of both worlds, depending on market rates. For example, a mortgage may be fixed for five years, and then adjust annually. Interest rates may be low now, but that only means they’ll rise later. When interest rates rise, your interest rate rises too. Your monthly payments will increase. This may be a hardship for some people. Adjustable rate mortgages may be saddled with a prepayment penalty. This means that if you suddenly come into a windfall and wish to pay your entire mortgage loan, you may actually be penalized for paying it off early. ARMs can be difficult to understand. There are many variables, and you have to carefully read all the fine print to understand the nuances of a particular ARM. 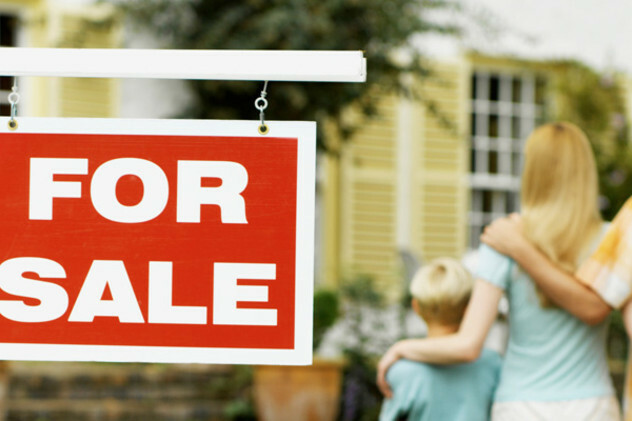 Fixed rate mortgages are a lot easier to understand: borrow this, pay that; it never changes. Adjustable rate mortgages come in and out of fashion, but the truth is that you shouldn’t take out such a loan unless you understand the worst-case scenario and how it may impact your financial health. While they are not for everyone, ARMs do offer some advantages, and those who can take advantage of these opportunities may find them useful. Talk to your lender about all the ramifications of an adjustable rate mortgage compared with a fixed rate mortgage. Real estate sales surged in the second quarter of 2015 in the lower Hudson Valley, the Hudson Gateway Association of Realtors announced Friday, July 10. Sales eclipsed last year’s second quarter sales by 14.8 percent. Realtors participating in the Hudson Gateway Multiple Listing Service, Inc. (a subsidiary of the Hudson Gateway Association of Realtors) reported a total of 3,669 closed residential transactions in the MLS’s four-county service territory, 474 more than last year. The transactions included single-family houses, condominiums, cooperatives, and 2-4 unit multi-family houses, and generally reflected listing and marketing activity that took place during the opening months of the year. Officials said the strong second quarter performance built on the first quarter’s results, which itself had posted a gain of 12.1 percent over 2014’s level. On a year-to-date basis there were 6,460 sales constituting an increase of 12.4 percent over last year’s half-year results. 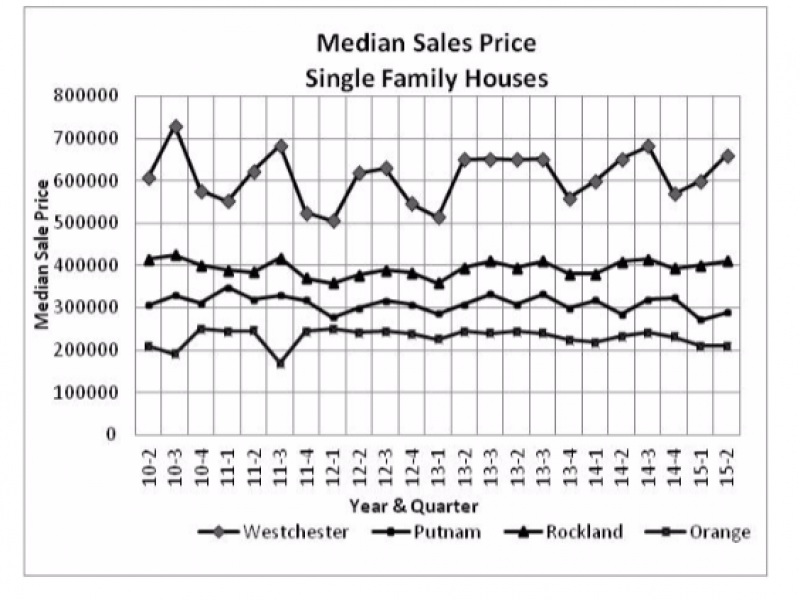 In Rockland County, second quarter sales were 11.2% higher than in 2014. The median sale price of a single family house was $410,000, just a third of a percentage point higher than in 2014. Putnam County followed the same pattern with a 12.3% gain in sales volume and a moderate 1.6% increase in its median-priced house, to $289,500. The main engine for sales volume in the Hudson Gateway region is Westchester County. During the second quarter the county accounted for 2,183 sales or about 60% of the region’s total. All four property types tracked by the MLS showed healthy sales increases ranging from 8.4% for single family houses to 59% for multi-family properties. The median sale price of a single family house was $660,500, just 1.4% more than last year. The mean sale price of a house was $866,707, also barely increased from last year. The two measures together strongly suggest that the Westchester market was in balance as to a smooth distribution across the pricing spectrum. By far the largest gain in sales activity occurred in Orange County, where total sales of 742 units—mostly houses and condominiums—surpassed last year’s second quarter by 30.4%. Orange County’s market has been powered in the last several years by an abundance of very moderately priced properties. The second quarter median sale price of a single family house was $209,950, nearly 10% less than last year’s median. The condominium median was $151,625, about 8.0% below last year’s level. Inventory in Orange has stayed in rough proportion to the rate of sales, indicating a balanced market with ample choices for prospective purchasers. The sales data from these four counties indicate a region that has achieved a good level of sustainability in its real estate market. Sales volumes are strong. Notwithstanding field reports of bidding wars and other indicators of overheated markets, the fact from the data is there is ample choice at most price points and that price increases have been more or less in line with inflation. Also, the inventory situation, while different in each county, is not so difficult in any of them as to suppress the market or drive up prices. Outside factors could spoil the market, but there is no immediate threat from any of them. For example, unemployment, which can discourage prospective purchasers from even thinking of buying a property, has steadily decreased in all four counties. In May, in Westchester, the unemployment rate was 4.6%; last year it was 5.0% and in 2013 it was 6.2%. The other counties have followed a similar pattern. Steadiness with mortgage interest rates has also contributed to healthy sales activity, both in our region and across the country. The average rate on a 30-year conventional loan seems nailed to a plank at 4.0% and near vicinity. Action to increase the Federal Reserve rate later this year may – or may not – drive up mortgage rates as well. There is no necessary linkage between the two, but even should there be an increase, if it is small and carefully phased in, the real estate market in our area as it is today can handle it. Sustainability is what we have. Karen Hunziker was 60 when her husband, Charles, secured a reverse mortgage on their Pollock Pines, Californina, home. At the time, Hunziker was advised by the mortgage broker to remove her name from the title to qualify for the loan. “We were both very concerned that I could be giving up my property rights, but the salesperson assured us I would be protected until 62 years old, when I would be put on the title,” said Hunziker. However when she turned 62, Hunziker and her husband were informed by an attorney that the only way she could be on the title would be to refinance into a new reverse mortgage. She was subsequently told the couple would need to contribute $60,000 to get a new loan. “That was impossible because of the first reverse mortgage,” said Hunziker, who works as an artist craftswoman. Although the couple had lived in the home for 19 years, Hunziker received aforeclosure warning letter from Financial Freedom ten days after her husband passed away in May 2014. That’s because Hunziker is a non-borrowing spouse. Although it was legal for brokers to make the mortgage only to Charles Hunziker, it wasn’t accurate to say that his wife, Karen, could be added to the mortgage when she turned 62 or that she wouldn’t face foreclosure if the older spouse passed away. HUD was ordered by a federal judge to revise its policies to address this problem after AARP and the Mehri & Skalet law firm sued. It did so in in January, but even HUD’s new reverse mortgage policy won’t protect Hunziker. “After a borrowing spouse passes away, the reverse mortgage servicer could assign the loan to HUD however even if the servicer chose this option at their discretion, the surviving spouse would then need to make a large, lump-sum payment to meet the principal limit test, which is something that most surviving spouses are unable to do,” said Stein. Another problem with the new HUD policy is its restrictions. “The policy is dependent on servicer discretion, so if the servicer doesn’t want to provide relief, they don’t have to,” Stein said.